This page explains the basics of OnTheFloor. There are some basic settings, the music library where you can select your dance music and manage tempo information and ratings, and a player for simple dance music playback. If you are looking for information about final round practice mode, please visit the Settings and Practice pages. 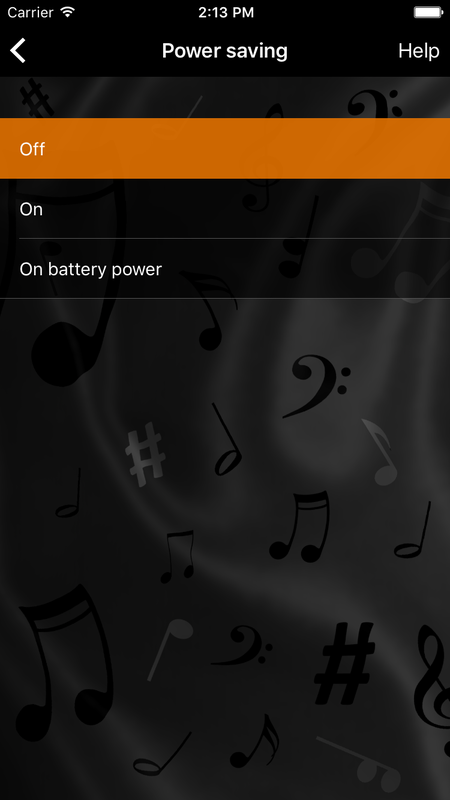 Basic settings apply to all of OnTheFloor's music players and modes. Fade-out determines when the music will start to fade out before a dance ends. Here's an example: If the Dance length in a final round is set to 90 seconds and Fade-out is set to 10 seconds, then the player will begin fading out after 80 seconds. 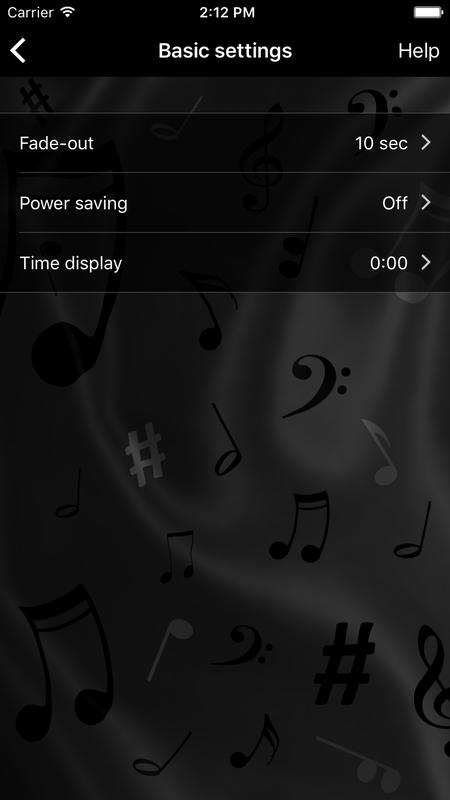 Power saving defines whether the screen will be turned off automatically during playback as defined in the device settings. Off means the screen will not be turned off. On means the screen will be turned off after the time specified in the device settings. On battery power is a mix of both as the screen will stay on while the device is being charged and will be turned off on battery power. Time display allows you to decide whether you want to see the remaining time in seconds (e.g. 150) or in minutes and seconds (e.g. 2:30). Before music can be played, you first need to specify where your dance music can be found in your device's music library. 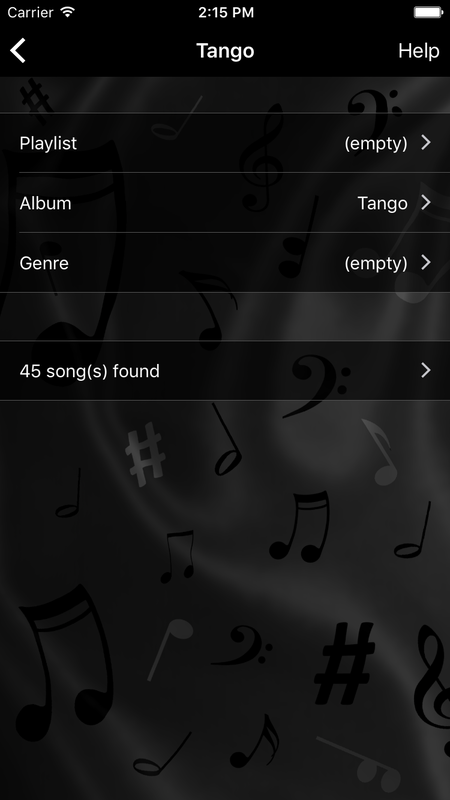 There are three filters available which can be used to select music from your library: playlist, album and genre. You have to use at least one of them, but you're also free to use a combination of two or all three filters. 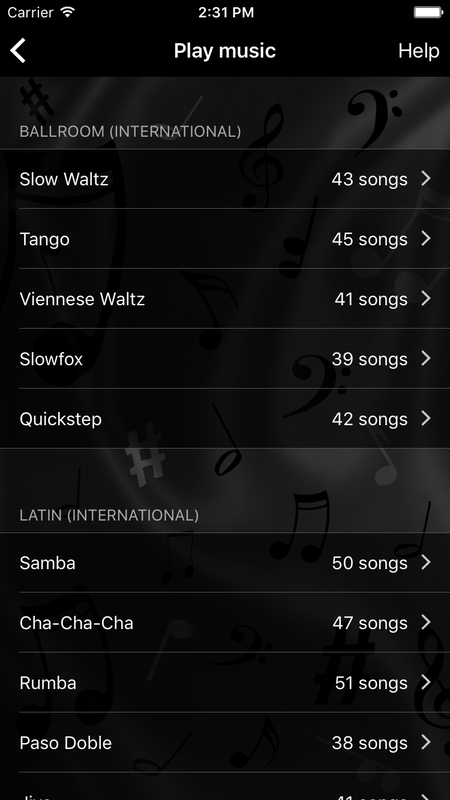 Since you need different music for each individual dance, you can define different filter settings per dance. 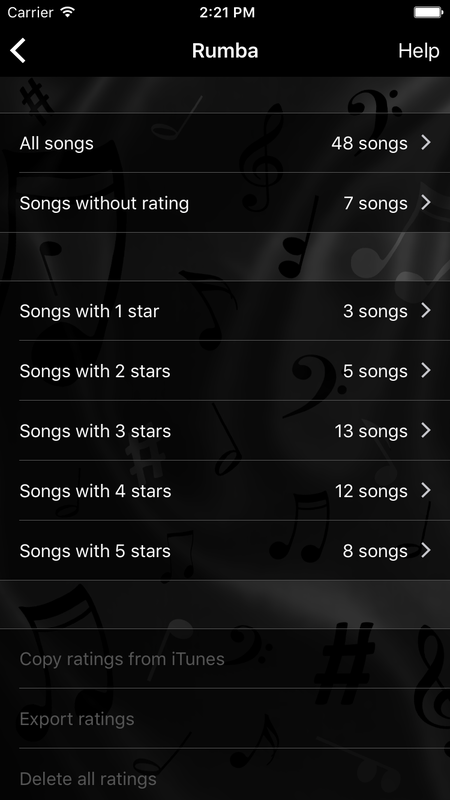 The available options for each filter depend on the songs that are stored on your device. Songs that are stored only in iCloud are excluded. When you tap one of the filters, a list of all available options is presented. The top-most option is always called (empty). Select this option if you don't want to use the particular filter. 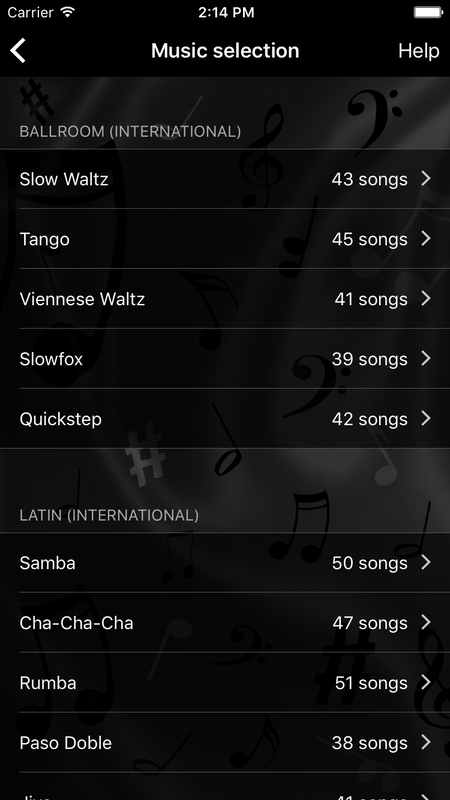 You can check the resulting song selection by tapping the search result beneath the filters. 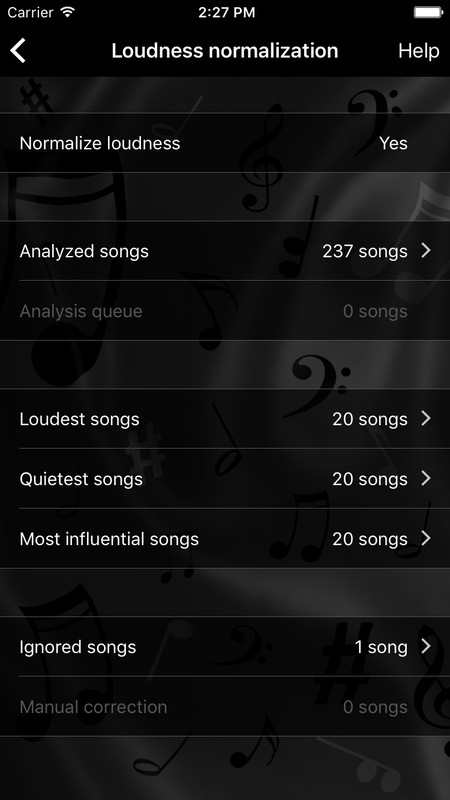 This will show a list of all songs that match your filter settings. OnTheFloor can use tempo information and ratings to filter your music selection and to automatically adjust the playback speed of your songs. It can read this data either from the meta data of the songs (which is managed by iTunes) or from its own database. In the latter case you can also modify the data with OnTheFloor, i.e. you can measure and save the tempo of your songs and rate them even during practice. 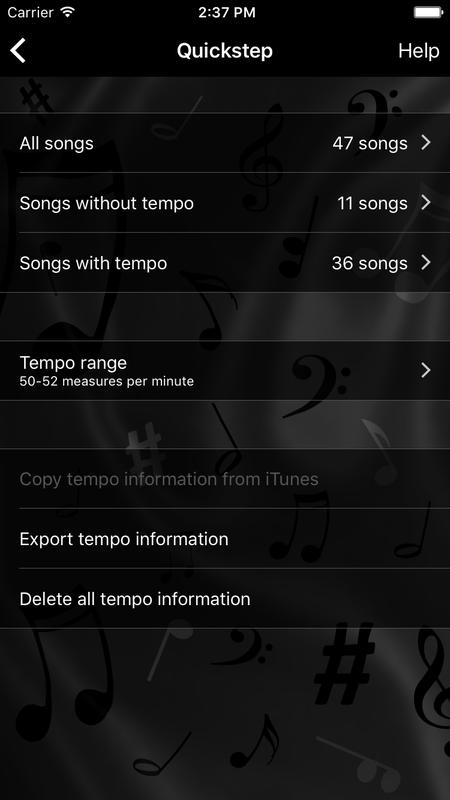 The music library of OnTheFloor is the place where you can add, change or delete tempo information and ratings, import this data from iTunes, export it via email and specify the data source (OnTheFloor or iTunes) and the unit used for tempo information (measures per minute or beats per minute). Additionally, you can also specify the valid tempo ranges for the individual dances. The combination of these ranges and the tempo information of your songs is then used by the tempo filters to select the right songs and to adjust their tempo. OnTheFloor supports automatic loudness normalization. 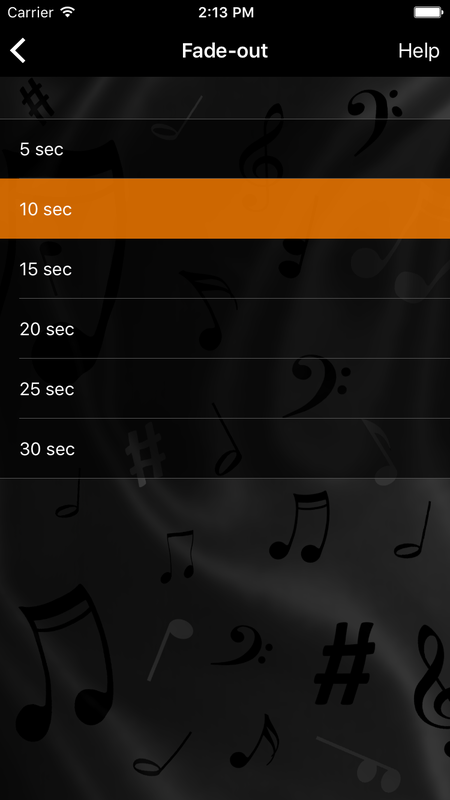 When this feature is switched on OnTheFloor will automatically adjust the volume of each song so that all songs sound equally loud. Please note that songs may have louder and quieter parts. OnTheFloor is not using signal processing techniques to reduce a song's dynamic (e.g. compression). It adjusts the volume at which songs are played based on the maximum perceived loudness of each song. Louder songs will be played at reduced volume to avoid clipping. 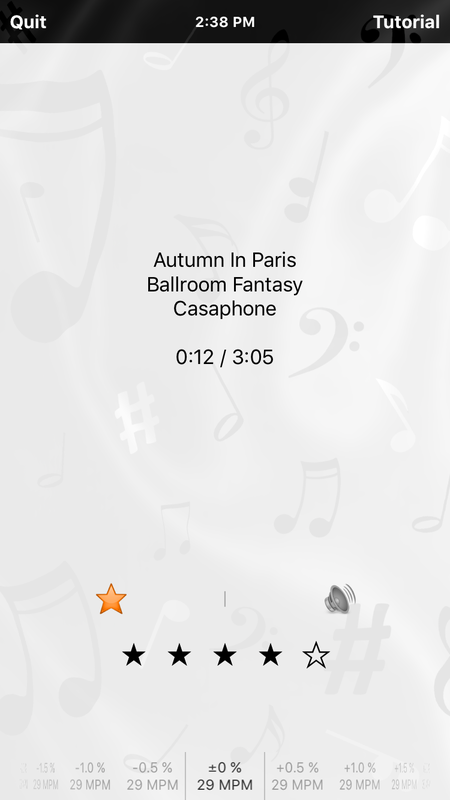 If you are not satisfied with the adjusted volume of a certain song you can manually adjust the volume of that particular song during playback. The player will remember your correction when the song is played again. 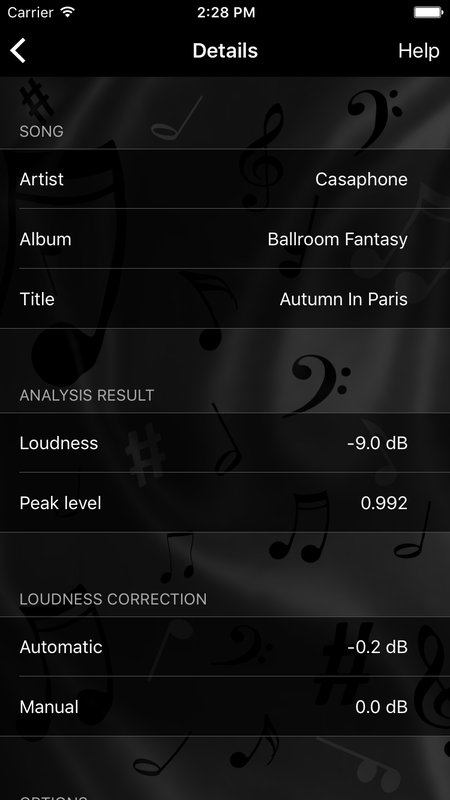 In the music library you can view the results of the loudness analysis of your songs and you can see which songs are the loudest and quietest and which songs have been manually corrected by you. You can also make the automatic loudness normalization ignore certain songs, for example when you don't want one particular song (which is very quiet) to cause a lower playback volume for all other songs. When you want to practice a particular dance and just need suitable music then OnTheFloor's basic player is the right choice. It allows you to select a dance and then either play a single song or all songs associated with the selected dance in an endless loop. If you have enabled automatic loudness normalization in the music library it also affects the playback volume of the basic player. 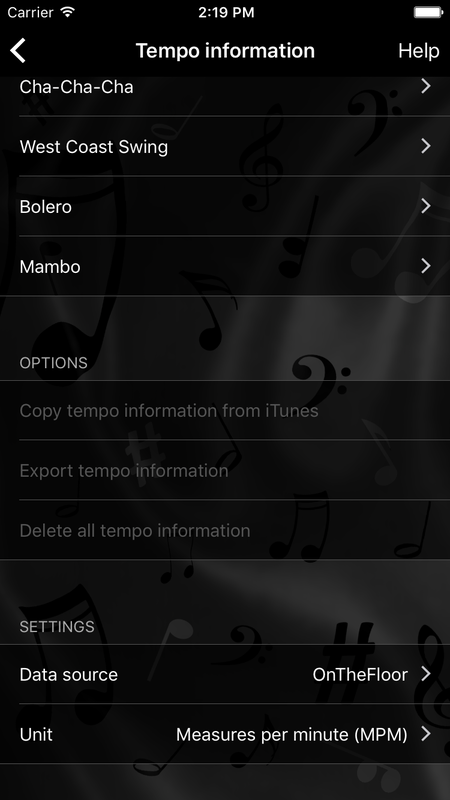 And of course, you can use tempo information and ratings to select just the right music and to automatically adjust the tempo.